↑ 4.0 4.1 4.2 4.3 4.4 "Irises". The Old Farmer's Almanac. Retrieved 11 July 2015. 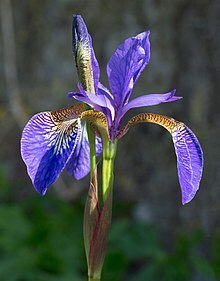 Wikimedia Commons has media related to Iris (plant). This page was last changed on 25 October 2018, at 12:03.